SLOVENIA, Europe - Slovenia is a miniature, picturesque country located in the heart of Europe between the Alps and the Adriatic sea. Due to its untouched nature and extraordinary geographic diversity it is often referred to as the beauty-spot of Europe, a perfect place for stand up paddling. Also known for its amazing water scenery with an abundance of SUP terrains as diverse as the country itself - from still Alpine lakes, emerald-green rivers, ever-changing intermittent lakes, to warm Adriatic sea and urban paddling in the capital’s Old Town. Unfortunately, on Slovenian coast, there are no waves to be ridden with a SUP board. Slovenia has five regions – five entirely different worlds, reflecting their diverse characters through their landscapes, climate, local spirits, cuisine and traditions. On this quest for inner peace, you can paddle through the veins of nature, discover the treasures of old cities, deceive the witches of Cerknica and slay the dragon of Ljubljana. Although small in size, Slovenia has a lot to offer to the stand up paddler year round. Most of Slovenia is temperate, with four distinct seasons. The climate is continental with cold winters and warm summers, but at the coastal areas there is pleasant sub mediterranean climate. The average temperatures in summer reach 20-25°C, but sometimes quite higher, 30°C or more and around 0°C in winter. The typical SUP season starts in March, with the water temperature around 10°C, and ends in mid November. The weather near the coast is typically warm and sunny through most of the year. Winters tend to be milder and if there's no wind you can easily paddle through Christmas. Summers are warm and mostly dry, so there's no need for using a wetsuit. Spring is fantastic as you become a part of nature's renaissance and in early autumn the palette of colors is just magical. Winter, on the other hand, is very special for its natural contrasts and tranquility. Small and special, close to everything. Located between the Alps and the Adriatic sea, Slovenia is so close to Europe’s capitals and yet so far from the frantic tempo of urban life. Countless traveler’s attractions are concentrated within one- to two-hour drive radiuses. Here, in a single day one can paddle on still Alpine lakes in the morning, bathe in the Adriatic sea in the afternoon and relax at a fancy dinner in the lively streets of Old Town of Ljubljana in the evening. Or, jump to Venice, Italy, if you wish! Two hours later you are sipping an espresso at the Canal Grande. That is a traveler’s fantasy! And there aren’t many places like this. More than just sight seeing. While exploring Slovenia's SUP spots one can also discover the country's rich historical and cultural heritage and fall in love with delicious local foods and world-renowned wines. Here are a list of places to check out when in the area. Year round - when conditions permit, and frequently in warmer season, you can join us for a 25 km SUP trip on river Ljubljanica. The downstream paddle will take you from the river source throughout the unspoiled Barje National Reserve to the very center of Old Ljubljana's Old Town – The Three Bridges. Around 10 SUP events are organized each year, both for elite and recreational paddlers. The Slovenian Sup Cup, now held for the second year, is also becoming more and more popular. One hour drive from the capital of Ljubljana. Lake Bled is pretty tiny, measures only 2 kms across. A unique scenic paddle takes you around the The Church of the Assumption on the little Island. Bled Castle is the oldest castle in Slovenia, perched atop a steep cliff rising 130 metres above the lake and offers a spectacular view of the lake and the island. Be sure not to leave Bled without tasting the original Bled Cream Cake. Lake Bohinj, just 30 kms from Bled, is a great SUP destination and offers fantastic views. It is located in Triglav National Park (named after Mount Triglav, the highest mountain in Slovenia). Take a trip across Lake Bohinj to the mouth of the emerald-green Savica River, the water source of the lake, is 4 kms long. Piran is situated at the tip of the Piran peninsula on the Gulf of Piran. It borders Croatia to the south, and faces Italy across the Gulf of Trieste and the Adriatic Sea. It is a town with narrow streets and compact houses. It offers numerous possibilities for short or long SUP tours. Visiting Salt Pans of Sečovlje is a wonderful experience. The symbiosis between man and nature is marked with the centuries-old tradition of salt-making. If you're lucky, you will be able to catch a glimpse of some of the 272 bird species nesting in the surrounding wetlands. In the heart of Notranjska, the most distinct Karst landscape in Slovenia, in a Karst field sheltered from the southwest by the densely wooded Javorniki Hills, lies the illustrious Cerknica Lake. It is an intermittent lake, filled mainly by autumn rains and the early spring thaw, which stops in May or June, sometimes even in mid-winter. Sort of interesting, paddling above the fields on a crystal clear water. Transparency allows us to see all the submerged landscape in detail. Visit our blog for the most recent discoveries and photos. SUP + discover Slovenia + indulge all your senses. 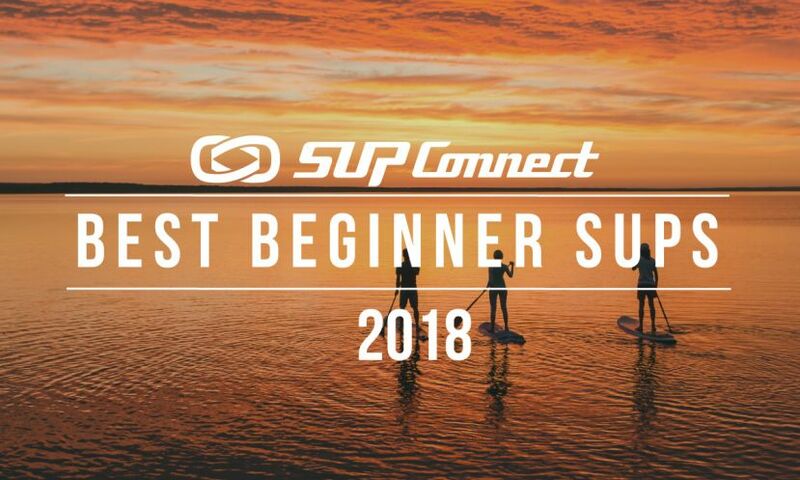 Our SUP holiday tours are created for those who love SUP. No doubt about that. But they are much more than just SUP. They are also about discovering Slovenia’s most amazing places – its pure nature and breath-taking landscapes, historical sights and cultural heritage. “Love goes through the stomach” we say in sLOVEnia, therefore we consider it a must to explore our country also from the gourmet aspect. As we travel through different regions we indulge ourselves in local culinary specialities, with home-grown foods and world-renowned wines on our daily menu. On our tours we also relax in cosy boutique hotels and enjoy the company of SUP lovers from all over the world. This is our version of SUP holidays. Welcome SUP lovers, restless explorers and bon vivants! All our tours are all inclusive, so you have nothing to worry about once you are here. When you get to Slovenia we take over and make sure you disconnect, relax, recharge and enjoy your SUP holidays to the fullest. We guarantee you will bring home many unforgettable memories to talk about. How to find us: http://sup-slovenia-discovery.com/ You can sign up for our newsletter on the bottom of the page. Have you been to Slovenia? Share your experience! Family traveler and outdoor sports enthousiast, came across the sport of SUP while visiting Maui back in 2008. Few years later founded Supslovenia – promoting active life in nature and SUP for all. With partner and co-founder Marko Senegačnik now running Sup Slovenia Discovery.